How well can world leaders sing their national anthems? 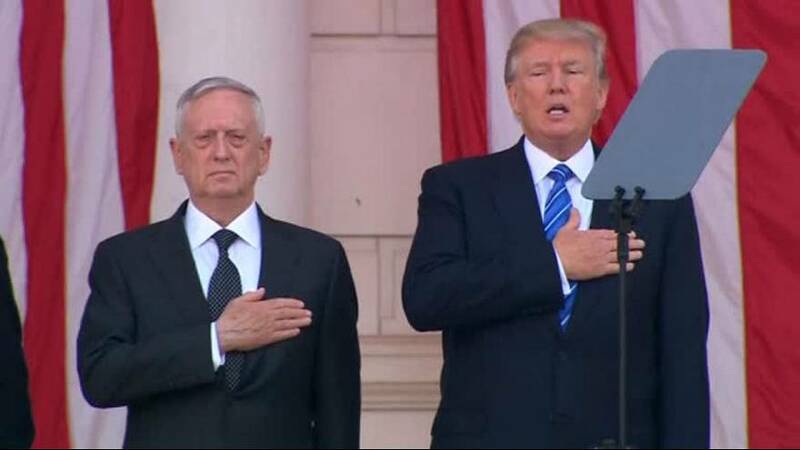 Donald Trump received some criticism for his performance while singing the US national anthem during a Memorial Day ceremony at Arlington National Cemetery on Monday, May 29, but have other world leaders fared in their performances over the years? After delivering his inaugural address in 2009, Barack Obama showed that he knew the words of the Star Spangled Banner better than his successor as he joined the likes of Bill and Hillary Clinton onstage in Washington D.C. Equally, France’s new president Emmanuel Macron seemed to master the words to La Marseillaise. While Chancellor of Germany Angela Merkel clearly knew the words to Deutschlandlied, her performance of the national anthem in 2016 could be considered a little sombre. Perhaps Trump should take a leaf out of President of Romania Klaus Iohannis’ book at his next public performance. Despite placing his hand over his heart Iohannis chose not to sing when Romania’s national anthem played, as his government was sworn in. There was no doubting Prime Minister of Israel Benjamin Netanyahu’s ability to hold a tune as he belted out the Israeli national anthem with a microphone placed just in front of him.